Great Care, Delivered. The information you need, all in one place. 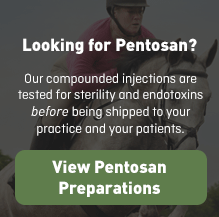 Whether you are a veterinary professional or a pet or horse owner, there are times when you need detailed information about compounded preparations. So we've partnered with our own consulting veterinarians to provide up-to-date information about common compounds including how they are prescribed, how they are administered, side effects and much more. 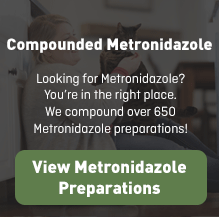 Search our Professional Monographs for veterinarian-authored information about the most commonly prescribed compounded medications. You’ll find information about therapeutic class, common uses, side effects, precautions, species and drug interactions and overdose information. Also be sure to check out the resources for veterinarians for an educational ebook content on compounding. 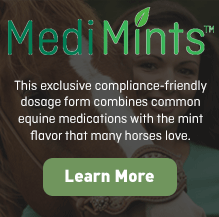 When your veterinarian prescribes a compounded medication, to find out information on indications, how to give the medication, the side effects, precautions, drug interactions, overdose and storage as well as information about a specific health conditions, read our Articles for Pet and Horse Owners by VetVine®.